MOTECH Automotive Education Center Inc. (MOTECH Automotive) traces its beginnings in 1977. Founder, Rommel Naguiat, a professional auto technician, put up its forerunner company Ride Center Phils. Inc., the first one stop auto shop in Angeles, Pampanga In 1994 the business name became Motech Automotive and entered into a partnership with the Technical Education and Skills Development Authority (TESDA) This allowed TESDA students to have their automotive training at Ride Center. The automotive educational center evolved nto a full-pledged training venue and car service hub with its pool of automotive technicians receiving top-of-the-line training. MOTECH Automotive is now having a customer database of 32,000. Each service center is guided by its business philosophy featuring a standardized service procedure, preventive maintenance checks and after-warranty services to car owners. Now celebrating its 36th year, MOTECH Automotive is gearing up through franchising eyeing on further expansion in prime locations in the country. Our Mision is to leave the standards of the "after-warranty" automotive service industry through constant innovation in quality repairs and preventive maintenance services. Every Motech Branch will be profitable in every visit by providing the best value services using up-to-date technologies that is simple, fast, efficient and thereby create a lasting relationship. Each employee will master his craft and be guided by the company philosophy of "tiwala" (integrity), "serbisyo" (service), "pagmamalasakit" (compassion), and "pagmamahal" (love) for the customers. People around us will see Motech as its partner by providing continuous free technical training and thereby in generate opportunities for community building customers. Motech's Vision is to be the leading automotive service center in the Philippines by providing the best value services to motorist. 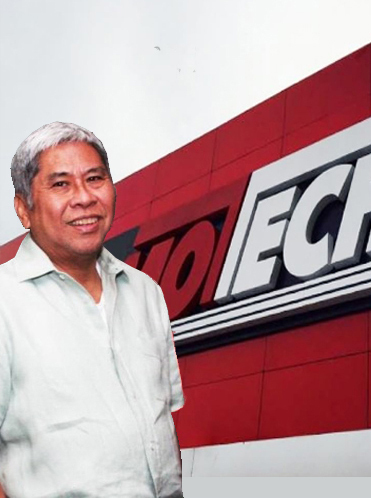 1977 - Founded by Rommel Naguiat, Motech finds its roots under the company name: Ride Center, Inc.
1986 - Motech's Founder, began a drive that would change the way the company approached it's clients. Using index cards, the company began collecting personal information of its clients. 1988 - Opened its first super store in Along Friendship Ave., Pampanga. It was equipped with 25 bays with the latest auto service equipment. Its market was then the American operated Clark Air Base. To support the market available inside Clark Air Base, a second store was added along Balibago Road. 1994 - Ride Center Inc. changed its name to Motech Automotive Education Center, Inc. The change of name came in line with the company's new vision of becoming a training center for mechanics. Motech starts to invest in its first accounting / POS software called AAA and its first CRM software called JEEPS. This investment would later on pave the way to Motech's expansion. 2002 - Motech Cainta was opened inside the parking lot of the Makro Shopping Center. This store became the model of how the future locations would be chosen. With an ROI of 1 and 1/2 years, Motech began looking for other sites with the same number of residential density coupled with a potential partnership with a shopping center. 2008 - Motech invests in itâ€™s first ERP system called Netsuite. A cloud computing software that allows Motech to manage all aspects of the business from of data source.